strive to offer quality workmanship and punctual service. If you're looking for a reliable air conditioning company to help with any A/C repairs or installations, you can count on the team from Ball Building Services to get the job done right. 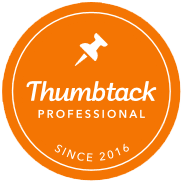 We have over 10 years of experience providing punctual service and high-quality workmanship to our customers throughout the Greater Tampa Bay area and central Florida, and we're committed to each client's complete satisfaction. 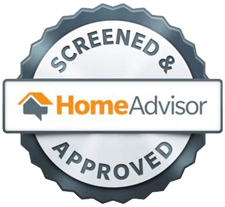 We're fully licensed and insured, and we're certified by the EPA. We service all makes and models of air conditioning units, and we'll gladly offer free written estimates for our work. We're an environmentally conscious company, and we recycle all ozone-depleting refrigerants that result from a repair. If you are anything like the professionals at Ball Building Services, LLC, you may consider your air conditioning system, especially during the summer months, more of a necessity as opposed to an indulgence. The heat can be brutal, so having the ability to stay cool and comfortable inside is essential. If the air conditioning system inside your home is in need of repair, call the professionals at Ball Building Services, LLC in Tampa, FL. At Ball Building Services, LLC, we truly care about our clients. We know what it is like to work with companies that provide subpar customer service. That is why we take pride in providing top-notch customer service at all times. We hire the best – our technicians are skilled, reliable, and always pleasant to work with. You can count on us to have your air conditioner up and running again as fast as possible. No matter what the problem is, the experienced pros at Ball Building Services, LLC will help you get your home air conditioning system repaired in no time. Call today to schedule an appointment. Don't take chances when it comes to your air conditioning system. One call to our team in Tampa, FL is all it takes to get the professional maintenance services you need to keep your unit working its best. Contact us now for more information or to schedule your service. As your heating system ages, it can lose efficiency or stop working altogether. If you're in need of a new heater, the company to turn to in Tampa, FL is Ball Building Services, LLC. As an established provider of HVAC services, we offer affordable heating system replacement for residential and commercial properties. At Ball Building Services, LLC, we provide the highest level of quality in all of our heating system replacement work, and all jobs are performed by experienced contractors you can trust. When you work with us, you'll benefit from our wide selection of heating system models and installation options. And because we value our customers, we strive to achieve complete client satisfaction on every job. If your heating system is on its way out, one call to Ball Building Services, LLC is all it takes to get the ball rolling on installing a new one. So don't wait for the cold to set in. Call us today to schedule an estimate for heating system replacement. Ball Building Services, LLC in Tampa, FL is your one-stop shop for home air conditioning services. Everybody wants to be comfortable in their own home or office and a properly functioning air conditioner is essential to achieving homeostasis. That's why so many people in Tampa, FL trust us to ensure their home's air conditioner is working well. Improperly sized or designed ductwork is the most common reason people are not comfortable in their own homes or office. By custom fabricating sheet metal ductwork, we can quickly and efficiently build any necessary parts of duct to modify and enhance the performance of your system. Even if your entire duct system needs replacement, we can design and fabricate a new system in less than a day. Ductwork modification is one of our specialties. From small repairs to new design and installation of your ductwork, we can do it all. Let us quickly and efficiently enhance the performance of your system. In fact, if your entire duct system needs to be replaced, we can design and fabricate a new system from start to finish. Don’t go another day without the comfort and benefits of an efficient home air conditioner. Call Ball Building Services, LLC in Tampa, FL today to hear more about our services and schedule an appointment. If you require talented air conditioner installers to put in any type of cooling system at your home or office in Tampa, FL, the technicians from Ball Building Services will get the job done right. Our HVAC business is family owned and operated. We have over 10 years of experience in the industry, and we always strive to produce outstanding results. When you choose us to help with your AC installation, our professional workmanship will exceed your expectations. We'll do our best to ensure that your every need is met. You can expect flexible appointment availability and a punctual arrival. We’ll provide you with a written estimate, and we'll recycle any ozone-depleting refrigerants. Give us a call today to schedule your appointment. At Ball Building Services, we're fully licensed and insured, and we're environmentally conscious air conditioner installers serving the Greater Tampa Bay area and central Florida. Our technicians are knowledgeable about all makes and models, and their attention to detail is meticulous. Need a heating solution for your home? Is your current furnace in total disrepair? At Ball Building Services, LLC in Tampa, FL, our team provides the highest level of quality in furnace installations and replacements. You depend on your furnace to keep your indoor space comfortable and warm when the weather turns cold. So when your furnace starts to malfunction and reaches the point where it can't be salvaged, you need a reliable contractor to come in and replace it at once. No matter the size of your space, Ball Building Services, LLC has a furnace installation option suited for you. We offer a variety of makes and models, and no matter the scope of your project, we pledge to complete our work on time and within budget. It's all part of our pledge to serve our customers well and earn their trust. If you're in need of furnace installation, Ball Building Services, LLC is the team to trust. Call today for more information or to schedule an estimate. We can’t wait to hear from you and we are happy to answer any questions.